Add a some cuddle buddies to your keys or backpack! 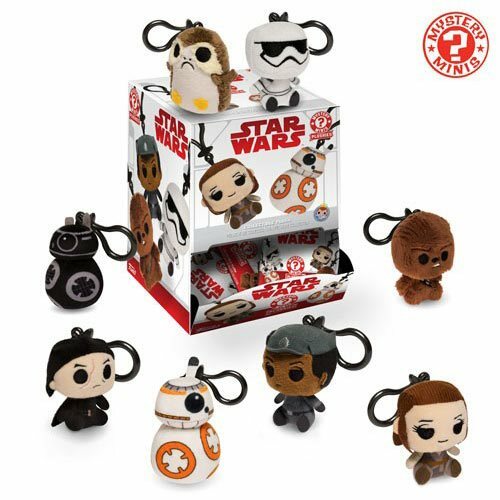 These Star Wars: The Last Jedi Plush Key Chains each measure approximately 2 1/2-inches tall. Each plush comes in a blind bag so you can hunt and collect your favorites! This Star Wars: The Last Jedi Plush Key Chain Display Case includes a total of 18 individually packaged plush key chains.